As technology and the way we communicate evolves at a rapid pace, there are some things that stay the same. Mainly, the importance of people skills. This is true for both people and businesses alike. Even the most well thought-out and perfectly executed social plan can fall flat if it loses sight of the essential humanity of its audience. The foundation of social, both offline and online, are people. When planning your brand social media strategy and campaigns, it is essential to maintain the human element and create opportunities for offline conversations. A great example of this was the launch for the new Anchor Milk that I attended a couple of week’s ago. 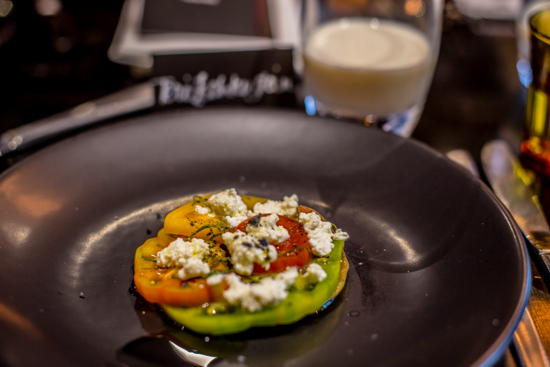 With an intimate gathering of foodies, bloggers, dietitians and dairy farmers, we were treated to a gastronomy sensation created by celebrity chefs Daniel Wilson and Christian McCabe, such as this ricotta and heirloom tomato salad. Amongst the constant flash of cameras and plates perfectly poised for the best food shot to be instantly uploaded to Instagram, there was also a constant flow of foodie conversations, meetings of new people, filtered milk tastes being discovered and laughter – all the essentials of a real-life food product launch shared with like-minded individuals. Successful brands don’t fake authenticity. They understand that the very foundation of social, both online and off, are people. By prioritising the human element over and above the social media plans, posts and KPIs, brands can truly get the social off the screen and into the hearts of their consumers.